Every year we search for popular franchises that are also affordable to open. We searched thousands of franchises and found these top formers that have an opening cost of under $30,000 to get started. 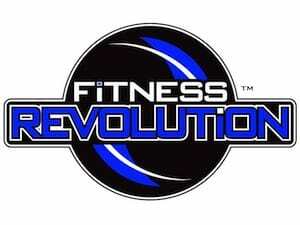 You can request information from each of the franchise to get details on how to get started. 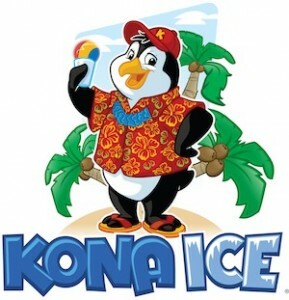 Kona Ice is a very profitable flavored ice franchise that is known for its rainbow colored ice cream trucks. Franchisees love the low startup costs, corporate support, focus on community involvement and the idea of being mobile. Not having to own your own building or property eliminates high overhead costs that can cripple profitability, and your Kona Ice business can adapt to changes in your area. 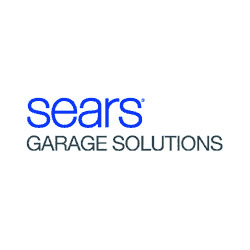 Sears Holding Corp. is the nation’s largest provider of home services with more than 13 million service and installation calls made annually. Services include garage door sales, install and repair; garage door opener sales, install and repair; flooring and organization/storage products. They also specialize in preventative maintenance “tune-ups” and spring and roller replacements. Over time, a brand acquires powers far beyond a name; it becomes the visible representation of a company’s image. And over the past 125 or so years, the Sears brand has come to represent quality, integrity, convenience and most importantly consumer confidence, making it stand out among low cost franchises. 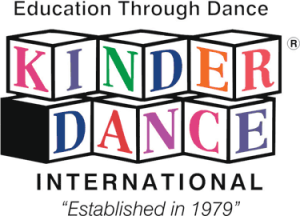 Kinderdance International is the original worldwide dance, motor development, gymnastics and fitness program that combines academic readiness skills which are specifically designed for children ages 2 to 12. What makes Kinderdance unique is that all of our programs incorporate educational concepts in a developmentally designed curriculum that teaches to the total child. They place special emphasis on building “self-confidence” and “self-esteem” in young children. In a $28 billion children’s industry, this low cost franchise opportunity is low-investment and low-overhead. No dance experience required. Take control of your life and make a positive difference in the lives of young children in your area by becoming a Kinderdance franchisee. Launch Homecare has combined two businesses into one. Explode your earning potential by using this innovative business model and providing both home care and assisted living placement services to your clients. Home care is one of the fastest growing industries in America. One of the services they provide is hiring certified caregivers, training them to provide high-quality care and then staffing caregivers with clients in their homes. Also, just as a realtor assists someone in purchasing a home, they will assist families in finding an assisted living home. 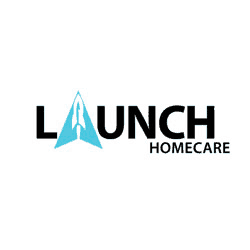 As one of today’s true low cost franchises, the “60 Days to Launch” product is a starter package designed to help you plan and prepare for the launch of your home care and assisted living placement company. 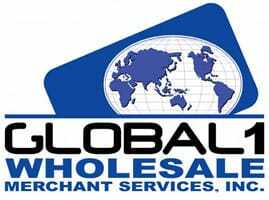 With an ever-growing client base, numerous attractive recurring revenue streams and an unprecedented 96% retention rate, Global 1 Wholesale Merchant Services has enjoyed tremendous growth and sustained success as one of the top low cost franchises. With just a personal computer, fax and phone, you can get started right away. That’s just one of the advantages of the Global Partner Program. You will also benefit from our low start-up costs that don’t involve leasing office space, specialized equipment or inventory. For only $2,995 you will receive: round trip airfare to exciting Las Vegas, Nev., hotel accommodations, transportation to and from training, three days of training and more. Founded in 1979, Merry Maids has become a leader in the booming industry of residential cleaning with 450 franchises in the U.S. and cleans more than 300,000 residences a month. As one of the companies under the ServiceMaster brand, Merry Maids franchises have numerous resources and access to continually improved training, marketing and career development. Including support in the form of a call center that drives business to your location. Perks Nearby is a turnkey mobile application platform that will allow you to offer local businesses a chance to get in on a Groupon-style deal. When you partner up with Perks Nearby, you’ll be getting turnkey access to a whole business, which you can build up yourself. With Perks Nearby, you won’t have to build a website or mobile app, nor will you have to have extensive training. Instead, you can focus more on developing your own brand. The travel industry is a low-cost, low-overhead investment opportunity that bypasses the trial and error of starting your own business by offering a turn-key solution. Cruise Planners, the nation’s largest home-based travel agent franchise network, is a home-based franchise offering cruise planning services, where you have the flexibility to run your travel agency business from anywhere. Healthier 4U Vending is the premier delivery system for healthier eating choices for people on the go. Complete remote access technology enables credit and debit card acceptance as well as access to sales figures, maintenance needs and inventory stock levels, all viewable online. Healthier 4U provides you with the tools you need to operate a highly successful, profitable business either full- or part-time. The BBQ Cleaner has developed a truly amazing system that can transform even the dirtiest BBQ grills to their sparkling best. The BBQ Cleaner team will help and guide you through each and every aspect of starting up your new profitable cleaning business, through induction training and beyond. You could be fully trained and operating your own business in just 6 weeks. Filta made the market for environmental kitchen solutions in the 90s and is still the market’s predominant leader. Their affordable franchise startup fees, coupled with their completely new improved line of up-sell possibilities and franchise expansion flexibility model allows franchise owners to determine the pace of their businesses growth. Opportunities are available in all states and several other major countries. Filta franchise owners are currently operating profitable franchises in over 20 countries. Since 1985, Coverall has helped more than 9,000 entrepreneurs become independent business owners through a proven franchise system. Coverall offers entry level, mid-level and executive-level franchise packages, depending on your investment and business plans. Coverall supports its Franchise Owners through comprehensive training, an initial customer base, billing and collection services, financing, a global network of 90 Support Centers, plus the unique benefits of the Health-Based Cleaning System Program. Jan-Pro franchisees offer commercial cleaning services to businesses such as car dealerships, gyms, banks, churches, schools and offices. The company’s “Cleaning Greener” initiative emphasizes the use of cleaning products that require fewer chemicals to clean more. Jan-Pro provides home based franchise owners with a start-up package that includes cleaning accounts, initial equipment, education on cleaning standards, constant support and the opportunity to build a sustainable business in the community. 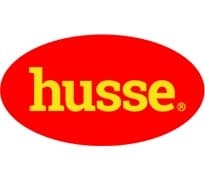 Founded in Sweden in 1987, Husse sells and markets a wide range of premium quality dog and cat food, cat litter and various accessories around the whole world. Husse delivers the products with Husse cars directly to customers’ doors with no extra charge. From the moment its franchising system was introduced, Husse has been growing approximately by 25 percent every year, adding new markets and consistently winning new market shares of the fast growing global pet food market. Slip Doctors’ passion for this business grows out of the fact that slip-and-fall injuries can be devastating, life-changing events, particularly for older and most vulnerable citizens. But the fact is, both young and old are susceptible to the devastation of slip-and-fall injuries. Slip Doctors has developed several methods for improving traction on tiles, stone, VCT, porcelain, concrete, ceramic, acrylic, fiberglass and most other surfaces commonly found on walking surfaces, boat decks, porcelain and fiberglass bathtubs, showers, wood — even synthetic surfaces. The application of their products is easy and should result in marked improvement in surface traction with little or no change in appearance. And the best part is the treatment is simple and, because it is truly one of the top low cost franchises around, inexpensive.